This level have normal difficulty and need to bring down three ingredients. For this level try to play from bottom and break chocolates in every move so they wont increase. 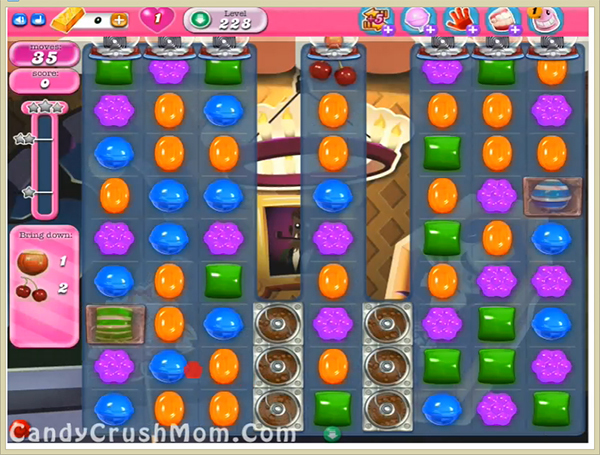 Then make special candy and make combo with other special candy to take down all ingredients fast to the bottom. We completed this level with 107880 score using colorbomb with striped candy that help to end this level with three star score.